As a breeding facility works to retain a pure lineage of the Cuban crocodile, out in the wild the division between species is getting murkier all the time. This article is also available in audio format. Listen now, download, or subscribe to “Hakai Magazine Audio Edition” through your favorite podcast app. Beside a spit of land jutting into a swampy enclosure, a female crocodile breaks the waterline, the bony ridges on her back jagged like an electrocardiogram. Her eyes track six sweat-soaked men standing in a haphazard semicircle, gripping poles twice their own height, as mosquitos orbit their straw hats. Another man works quickly with a hoe, leveling the dried grasses of her nest and chewing up the earth until he finds her unborn brood, laid just three days ago. The crocodile thrashes and lunges forward, but two men raise their weapons, ready to deliver a hard thump to the snout if she approaches. She sinks back as the man in the middle of the mob loads her few dozen eggs plus a second set from a nearby nest into a plastic pail, cushioning them between layers of dirt. 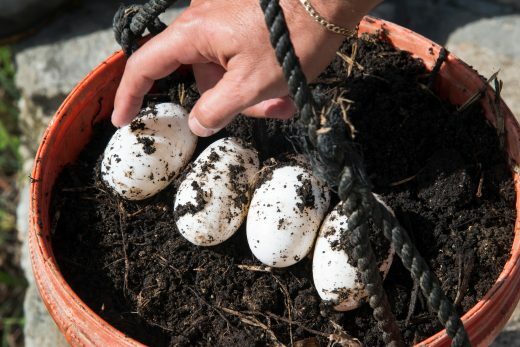 At the top, he places four last eggs—the rejects—each the size of a small mango. They feel like unpolished marble and all bear a sizable dent. The tiny would-be Cuban crocodiles (Crocodylus rhombifer) inside are goners—the membranes are too damaged—but the others are destined for an incubation room, where air conditioners humming round the clock will hopefully hold them at a steady temperature. If all goes as planned, in 75 days or so, hatchlings will emerge and help move the needle on C. rhombifer’s prospects for survival. Conserving the Cuban croc was one of Fidel Castro’s first priorities after he steamed into power in 1959. Just months into his rule, he ordered the creation of the Criadero de cocodrilos, Ciénaga de Zapata—or Zapata Swamp Captive Breeding Facility—a cluster of ponds, rows of concrete-block pens, and a couple of narrow one-story buildings split into modest offices and workspaces for staff two and a half hours south of Havana. Castro always had a predilection for wild spaces and things, says environmental historian Reinaldo Funes-Monzote of the University of Havana. Whether he cherished endemic species because they fit with his hypernationalistic sensibilities, or he related to their untamed energy, or he was just enlightened to the inherent value of wildlife is a guess, though crocodiles must have become a point of pride for him at some stage—he eventually developed a habit of gifting them, either living or embalmed, to foreign allies. He also launched initiatives to raise manatees, deer, and Cuban gar in the swamp. The island of Cuba, some say, is shaped like a crocodile, though you need a highly developed imagination to see it. 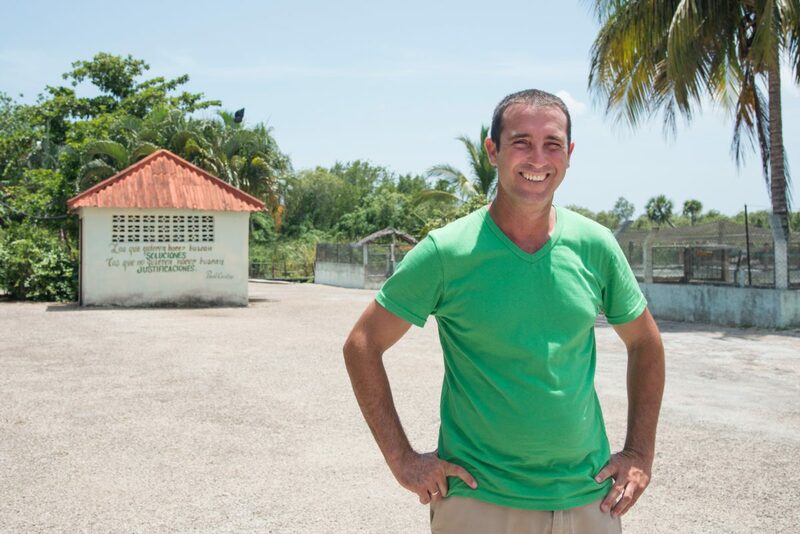 The hatchery, located on one of its webbed feet—whether front or back depends on which way you tilt your head—has been solely dedicated to the conservation of the Cuban crocodile since 1974. The mission is straightforward in theory: secure the Cuban crocodile for the future and learn about the natural history of the little-understood species along the way. Yet as geneticist Yoamel Milián-García of the University of Havana and others peer into the crocodile’s cellular secrets, they’re revealing that there’s a lot more that needs to be considered when it comes to conserving Castro’s croc. In the wild, the Cuban—one of the world’s rarest crocodiles—is found almost exclusively within the 300-square-kilometer freshwater interior of the Zapata Swamp. The saltier stretches along the coast are the domain of Cuba’s other native crocodile—the widely distributed American (Crocodylus acutus), also found in coastal areas across Cuba and other Caribbean islands, and on the mainland from Mexico and southern Florida down to northern Peru and Venezuela. The Cuban is bolder and hunts during the day. It has a stubby snout, a reputation for jumping, and a tendency to walk with its belly high off the ground. The American is bigger, more apt to hide, searches for prey at night, sports dark bands on its back and sides, and has a long, pointed snout and extra webbing on its hind toes. The differences are as distinct as red from blue. Yet when Milián-García analyzed their genetics a few years ago, he confirmed what zookeepers and scientists had already suspected: the two species are skinny-dipping in the same gene pool. Both crocodiles have been subject to intense hunting pressure for decades. In the past, hunters generally sought skins or killed the animals out of fear. Now, poachers covet the meat, which is illegally and surreptitiously chopped, fried, and plated at private restaurants, primarily for tourists seeking a brag-worthy culinary exploit. As American crocodiles flee poachers on the coast, they push deeper into the swamp, where they’re more likely to mingle with Cubans. 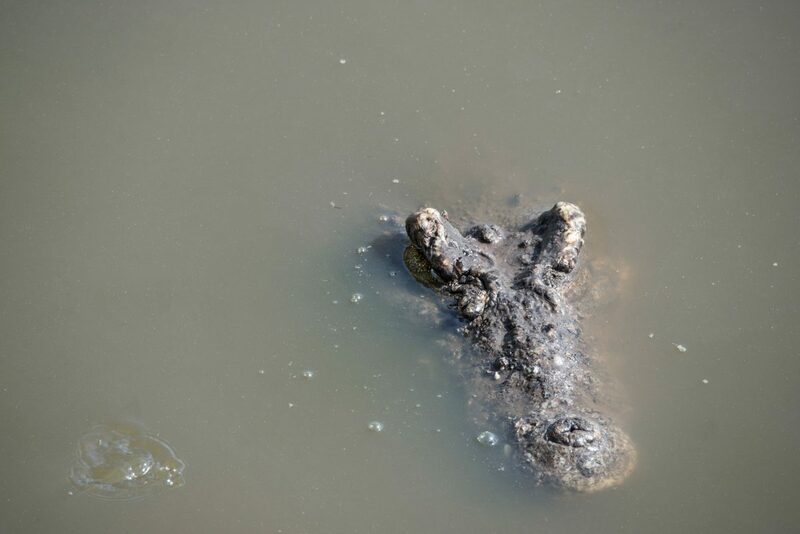 Milián-García’s research shows that perhaps one out of every two crocodiles in the Zapata Swamp is a hybrid. And he found that 16 percent of the breeding animals at the captive facility were hybrids, likely a legacy of the facility’s early days when American crocodiles were kept in the mix and the staff—ex-hunters and locals without experience in animal husbandry—weren’t attuned to the possibility of hybridization. “People knew it was occurring, but not in that high of numbers,” says Milián-García. It’s now considered one of the greatest threats to the Cuban crocodile, which has an estimated wild population of 3,000, with a gaping margin of error. At first, the findings were met with resistance, says Milián-García. The research proved that crocodiles can’t always be identified based on outward characteristics alone, as keepers had thought. Some hybrids pass for Cuban, some look and behave American. Driven by their mandate, breeding facility staff plucked the hybrids out of their collection and destroyed them. That solved their immediate concern, but out in the wild, more hybrids were hatching every year, threatening the Cuban crocodile’s lineage as evolution unfolds in real time. Just down the road from the hatchery, I slide into a speedboat with Milián-García, who has an easy smile and affable, laid-back demeanor, and hatchery biologist Etiam Pérez-Fleitas, with a sun-scorched complexion, rusty voice, and knack for cracking jokes even in stilted English (“The name of this place is Aeropuerto [airport],” he quipped, referring to the crocodile enclosure, “because sometimes when a female runs at you, you need to fly out fast like an airplane”). The two scientists have known each other since high school and have been collaborating on crocodile research for years. Our driver steers with a growling outboard motor through searing midday light toward Laguna del Tesoro, or Treasure Lagoon. The lagoon is empty of Cuban crocodiles—the local population was wiped out at the turn of the last century—but Pérez-Fleitas likes to show visitors the habitat as a proxy for wild animals anyway; we can see the stage, but have to superimpose the actors with our minds. He points out the selling features that would appeal to a Cuban croc: a plump, football-sized snackable crab rambling into the foliage; a heron that might prey on juvenile crocodiles but would look like a kebab to an adult; a low bank with plenty of grass for nest mounds and soft mud for a female to bury eggs; tangles of lily pads and arcing mangrove roots where babies could hide out. Nearby, another boat shuttles tourists to a replica Indigenous village in the lagoon, which historian Lillian Guerra from the University of Florida says Castro designated a destination for “government elite and political rewardees” in the 1970s and ’80s. This was the companion piece to the crocodile center, part of the Boca de Guamá ecotourism complex. By the time Castro had taken power, Zapata Swamp had already been altered by human ambition. Land reclamation projects here date back to the 19th century. And as researcher Claudia Martínez Herrera from Cuba’s national archive explains in a report, in the 1940s, the sugar industry arrived in the swamp—trees were cleared to make way for crops and mills and to power production. Loggers also cut swaths of royal ebony, mahogany, and white oak for export and for coal production. The sediment released from logging changed the area’s hydrology, causing four distinct areas to merge together into one giant swamp. Inhabitants drove artificial channels deep into the interior to access remaining trees. When Fulgencio Batista was in power, he had even taken steps to slash a canal all the way from the swamp’s south coast to Havana, bisecting the country, as a shortcut for ships traveling between the United States and the Panama Canal, though it never materialized. Castro embraced the notion of bringing economic development to the sparsely inhabited and impoverished region. In The Real Fidel Castro, the late former British ambassador to Cuba Leycester Coltman says that from the beginning, the leader—who has been heralded as an environmentalist—“showed a fatal attraction to gigantic schemes to conquer nature and change the landscape, the sort of projects that appealed to other modern pharaohs such as Mussolini and Stalin.” Castro wanted to drain the swamp, a “virtually unpopulated region, infested with mosquitoes and crocodiles,” and convert it into “a rich area for rice-growing and tourism,” Coltman writes. Under his watch, Funes-Monzote confirms, more water was siphoned away and more artificial channels were driven deep into the swamp, into Cuban crocodile habitat. The changes to the swamp made it easier for American crocodiles fleeing hunters on the more accessible coast to push into the interior and overlap with Cubans. In most cases, female Cuban crocs, who might normally struggle to find a mate from their own small population, suddenly encounter exotic suitors of an appealing size and shenanigans ensue—a little like spring break in Cancun. At least that’s what the genetics suggest. When Milián-García’s research first came out in 2015, hybridization was a filthy word, he says—everyone believed it was solely caused by humans, and the American crocodile was a negative force compromising the Cuban crocodile’s future. Now there’s growing recognition that hybridization is a natural process for crocodiles—which Milián-García is working to prove by showing that it has occurred since the species arose—but one that has likely accelerated because of human interference in the swamp. And so, the future of crocodile conservation in Cuba hinges on culpability. Ultimately, Cuban-American hybrids might prove to be a stronger, superior animal, better equipped to thrive. Or they might just represent a net loss of biodiversity. 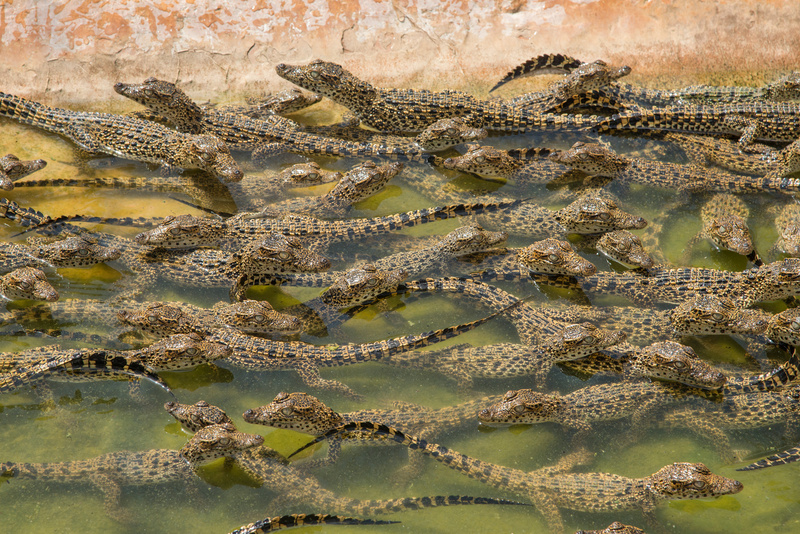 As Milián-García teases answers from DNA, the breeding facility staff are doing what they can to preserve and bolster the Cuban crocodile population in the wild. They provide animals to approved restaurants to give the culinary adventurers a farmed, legal alternative to eating the critically endangered wild Cuban crocodiles. And they collaborate on informational campaigns and projects to encourage hunters to transition to other livelihoods. 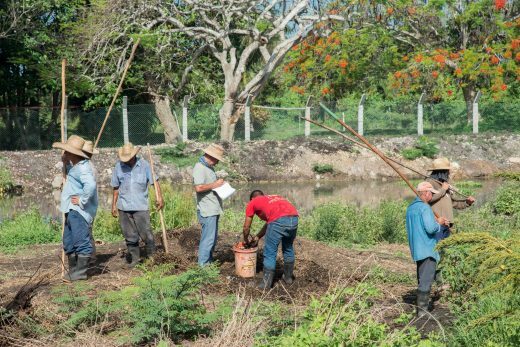 Pérez-Fleitas and his colleagues have also released 110 young Cuban crocodiles into an area of the swamp where they’re presumably far enough away from American crocodiles that they might propagate their pure lineage, not far from the replica village site. It’s tempting to read bias between the lines. To see the desire to protect C. rhombifer from outside forces encroaching upon it as a manifestation of nationalistic mentality—to save it, that is, because it is “Cuban.” The setting for the Cuban-American crocodile drama happens to be near the site of the infamous Bay of Pigs Invasion. Mere kilometers from the hatchery’s current location (it moved in the 1980s), Cuban exiles trained by the US Central Intelligence Agency snuck ashore with plans to overthrow the new government, but Castro’s forces quashed them—it was heralded by the leader as the first victory of a Latin American country over “Yankee imperialism.” But the scientists involved in Cuba’s crocodile conservation groan at the question of bias—average Cubans aren’t known for taking much interest in crocodiles, but scientists value both species. And, as one biologist points out, although Castro fostered deep disdain for the power wielded by the neighboring nation, which is situated a mere 160 kilometers north of Havana, “American” is not strictly synonymous with the United States—the term applies to anyone or anything throughout the Americas. There is a cultural parallel to crocodile hybridization, though, even if you have to squint to see it. Anthropologist Alexandrine Boudreault-Fournier from the University of Victoria in British Columbia explains that there has always been cultural exchange between Cuba and the outside world—even during the most restricted era of Communist rule. Cubans are particularly hungry for products from the United States, the pop culture powerhouse. The United States gave Cuba baseball, clothing styles, and new musical genres; Cuba gave the United States its style of salsa. The revolutionary government tried to control the flow and insulate the nation from those influences—the United States, to Castro’s anti-imperialist mindset, was the enemy. But unsanctioned cultural materials still trickled through with visitors. When hip-hop first broke out, Cuban rappers constructed homemade antennas and waved them near the US military base in Guantánamo to try to pick up radio signals, or drove to the island’s most southern point to snag tunes emanating from Jamaica, Boudreault-Fournier says. But the explosion of cultural influence came with the dawn of digital media, shared through flash drives and other portable devices. Suddenly Cubans had an easy way of transferring bootlegged music, movies, and television shows. Like the channels and changes that may have spiked genetic exchange between crocodiles in the swamp, flash drives opened up a conduit for US media to mix with Cuban culture more easily than ever before. Despite those influences, Cuban people have always seen their culture as distinct, Boudreault-Fournier says. And scientists have long seen American and Cuban crocs as distinct. It turns out, the difference, at a genetic level anyway, is relatively minute. Milián-García has also shown that although they look and behave differently, Cuban crocodiles and American crocodiles in Cuba are almost genetically the same to begin with. Only a 0.9 percent genetic difference exists between them—which makes American crocodiles here much more closely related to Cuban crocodiles than to members of their own species elsewhere in their range. Perhaps considering them two species was a taxonomic miscalculation and they should be treated as one. Or, maybe the American crocodile in Cuba needs to be designated a second crocodile species entirely unique to Cuba. In that case, could allowing two separate but wholly Cuban species to hybridize prove more palatable from a social perspective? The questions clearly have significant management ramifications, and Milián-García is working with his genetic crystal ball to try to resolve some of the unknowns. The problem, he points out, is that his tools can’t tell the future, only the past. Regardless, the forces of hybridization, like globalization, are likely unstoppable. The debate about what’s a species and what isn’t “is going to be an open conversation, which is great,” says US-based herpetologist Natalia Rossi of the Wildlife Conservation Society (WCS). She has also studied the genetic differences between mainland and Cuban C. acutus and works closely with the Cuban scientists. “But in the meantime, we’re working on managing populations because whether they’re a single species with great morphological variation or two species, we know we need to protect these two entities. 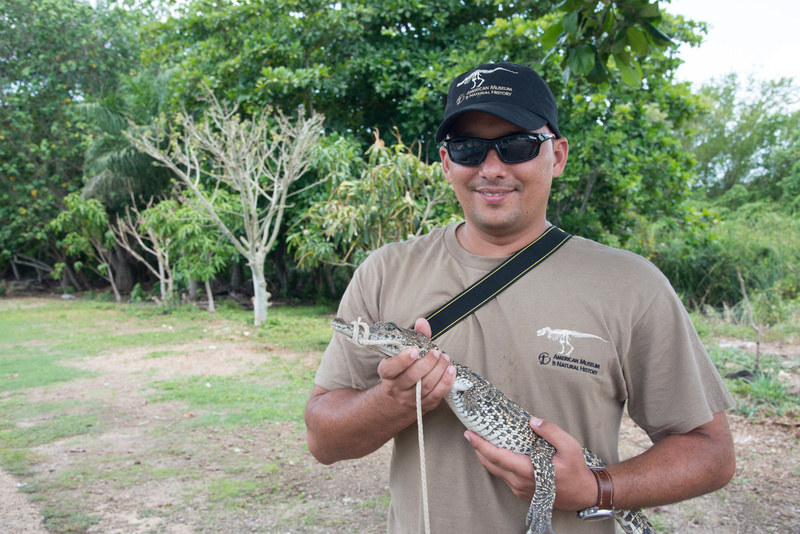 … We need to now save the Cuban crocs no matter what.” WCS is assisting Pérez-Fleitas and his colleagues in studying hybridization and gathering baseline data about the wild crocodile population in the Zapata Swamp. Back at the breeding facility, Pérez-Fleitas leads the way past rows of pens where 4,000 or so animals are organized by size and age. 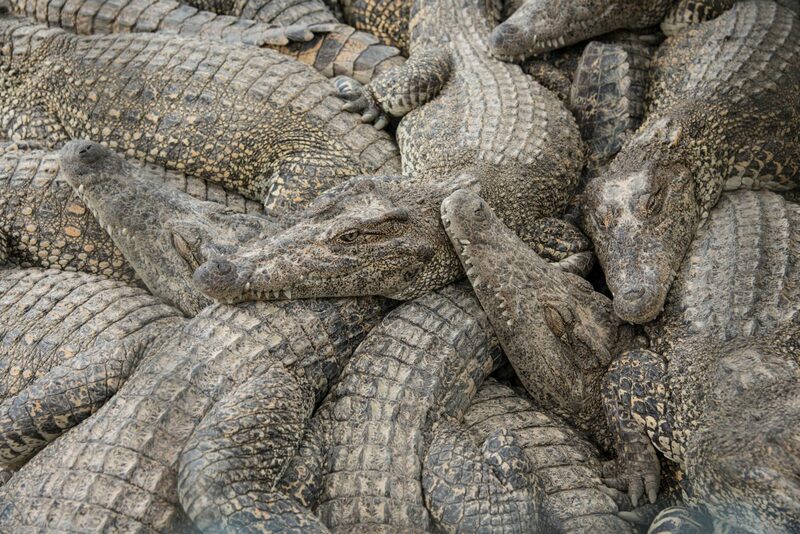 To escape the blazing May heat, the crocs have dogpiled under the corrugated metal awnings sheltering a portion of each enclosure, forming abstract masses of scales, teeth, and tails. He pauses to point out a few full-grown adults he keeps together so he can observe breeding behavior. The irony, not lost on the scientists, is that at the same time they’re fighting to retain a pure Cuban crocodile lineage, they’re meddling with genetics just by deciding which animals can breed, how they’re paired, and which juveniles are released into the wild. Though it may not be based on international politics, for Pérez-Fleitas, there is a clear hierarchy. The Cuban crocodile in its prehybridization form, which he has been devoted to since he joined the facility fresh out of university, will always rank highest: “It’s more wonderful, beautiful, active. For me, it’s the best crocodile in the world.” He bristles at the idea of the breeding facility some day changing its mandate to raise American crocodiles too, whatever their classification might be. Earlier in the morning, as we drove to the breeding facility, he described a few sounds Cuban crocodiles make to communicate: the slap of a head on the water’s surface, bubbles blown through nostrils, a roar, a whimper. At the facility, around the corner from a building with a proclamation painted on its side about searching for solutions, not justifications, made by Castro’s brother and successor, Raúl Castro, we stop at another pen. It’s packed with maybe 100 or more yearlings, the air around them punctuated with the smell of pungent, fishy feces. At this size, barely longer than my shoe, the reptiles are vulnerable to birds and other predators so are hardwired to be on high alert. They freeze in place, temporarily petrified, as Pérez-Fleitas swings open the gate. As he steps toward them, they erupt, swarming en masse like beer foam, before freezing again. Perez scoops one out of the shallow trough of water and passes it to me, showing me how to place a thumb over its forehead to stop it from writhing and biting. The little crocodile remains nearly motionless, with its mouth, ringed with sliver-length teeth, agape. As I admire the little marvel, I ponder its future: will it have the chance to spread its genes and influence the next pure captive or wild hybrid generation? Or will it be a tourist’s dinner some day? The crocodile has more concerns about its immediate future. A flap at the back of its yellow throat flutters and it lets out a whimper, like a puppy. Urm, urm, urm—the distress signal. 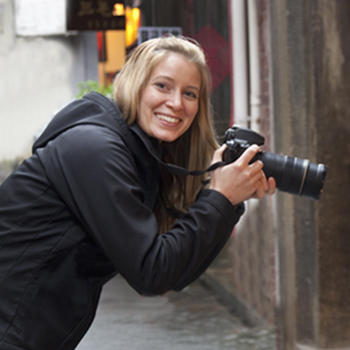 Cite this Article: Shanna Baker “The Future of Castro’s Crocs,” Hakai Magazine, Jun 19, 2018, accessed April 21st, 2019, https://www.hakaimagazine.com/features/the-future-of-castros-crocs/. In the Northern Territory of Australia, policymakers and biologists managed the impossible—making the benefits of living with a booming population of deadly crocodiles outweigh the risks. But when two apex predators must share coastal resources, there’s bound to be conflict. A communist city struggles to lure foreign money and rebuild its failing infrastructure without sacrificing its revolutionary roots.